SMEs present great opportunities for invigorating the economy; Stats SA has shown that when the contribution to the economy is broken down, the private sector earned a total of R2.1 trillion in turnover: large businesses contributed almost two-thirds (64%) to this total, followed by small (27%) and medium businesses (9%). The challenge is for SMEs to provide customer experience (CX) excellence, in everything from sales to customer support, to stay competitive. As the majority of companies begin to recognize the importance of the customer experience (as a differentiator and a key performance measure), and the role that the contact centre or any support department plays in shaping this, a focus on CX has become a key requirement for businesses of all sizes. 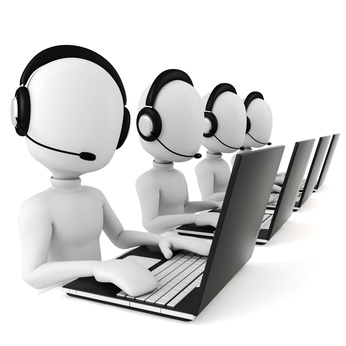 Contact centres are traditionally viewed as a large, predominantly voice or email-based business function. While this can be true for some businesses, SME’s often have a different set up and list of requirements. Considering SME budgetary restrictions and increasing customer demands, the need for an affordable, flexible contact centre solution that improves efficiency and productivity, and supports and integrates digital, mobile and self-service channels (in addition to voice, if required) couldn’t be greater – especially considering the cost savings and CX gains. Local contact centre solutions company INOVO is seeking to tackle the challenge of ensuring that SMEs maximise the opportunities they have by introducing a business solution specifically created for this sector. According to Wynand Smit, INOVO’s CEO, it’s entirely possible to bring Big Business capabilities to SMEs, with the goal of improved efficiency and productivity directly resulting in an improved customer experience. “In the development of this solution, it was essential that four elements be addressed: affordability, rapid time-frames, flexibility, and the support and measurement of multiple integrated customer contact channels. We recognise that SMEs are seeking to be competitive and that their customer service needs are constantly evolving. That’s why we have created what we believe takes on this challenge by providing the benefits of a large contact centre but for a context more suited to the SME. These benefits then contribute to improved CX,” he says. “It was found that smaller companies without the need or resources for a full contact centre environment were still in need of improved means of engaging with customers, conducting sales and collecting debt, depending on the nature of each individual business. The customer relationship is the life-blood of business for the SME. In a dynamic marketplace, it’s essential to meet customer expectations, even if your operation is relatively small,” Smit concludes. The solution may be utilised in different contexts, including sales, customer service and debt collection.